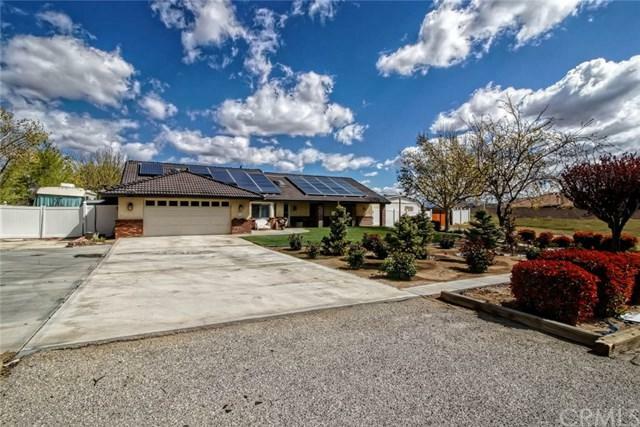 BEAUTIFUL POOL HOME IN HESPERIA! 2 Masters! 4Bedrm/3bath Split floor plan. Beautiful Wainscotting in Entry, Family Rm and Hall. Living Room could also be Formal Dining Rm, and SURF'S UP! in the 2nd Master, with woven wood wainscotting on the walls, and Sunny bathroom. Also featuring a large office area next to the Main Master. A huge laundry rooom with deep sink and door to backyard. The patio is right off of the Beach! Colorful wooden slatted veneer, past the patio is a beautiful Pergola featuring an out BEAUTIFUL POOL HOME IN HESPERIA! 2 Masters! 4Bedrm/3bath Split floor plan. Beautiful Wainscotting in Entry, Family Rm and Hall. Living Room could also be Formal Dining Rm, and SURF'S UP! in the 2nd Master, with woven wood wainscotting on the walls, and Sunny bathroom. Also featuring a large office area next to the Main Master. A huge laundry rooom with deep sink and door to backyard. The patio is right off of the Beach! Colorful wooden slatted veneer, past the patio is a beautiful Pergola featuring an outdoor kitchen and full fireplace - stunning! The patio has Wisteria vines that bloom and fill the air with the sweetest perfume! 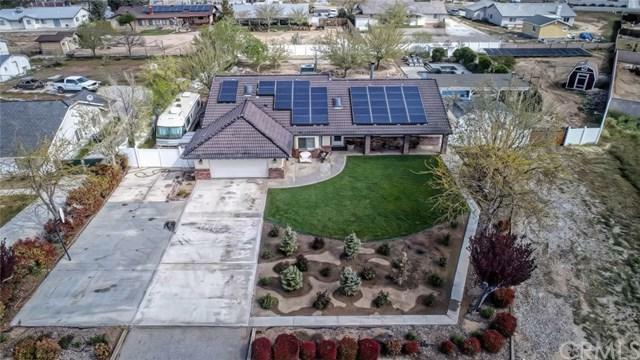 Almost an acre that includes RV parking with dump AND!!AND!! a SALT WATER POOL and SPA!! 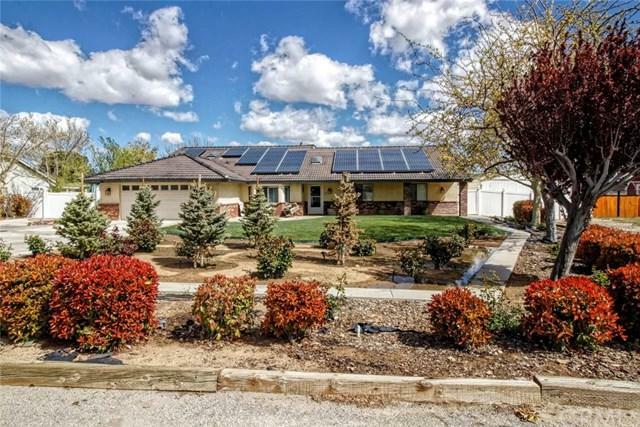 There is solar for house, AND for the pool! !You will be able to swim a month longer in the Fall, and a month earlier in the Spring! There is a full length Bocci Ball court, GRASS in front and back - just waiting for you to walk across it barefoot! WHAT ARE YOU WAITING FOR?? 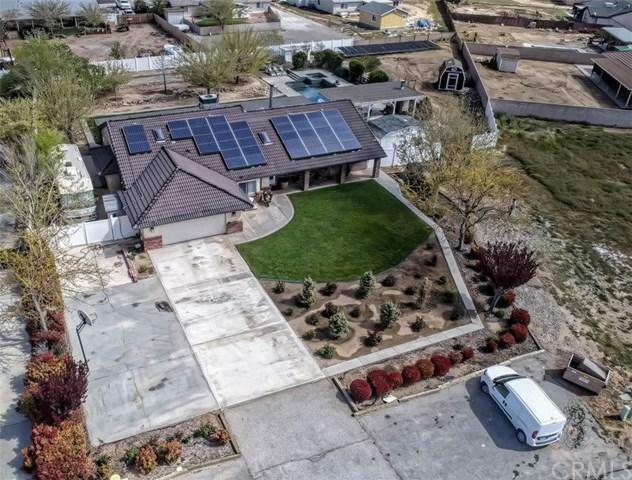 Listing provided courtesy of Keller Williams Victor Valley. Listing information © 2019 San Diego MLS, Inc.